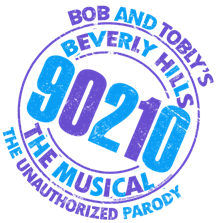 Broadway In Chicago and the producers of Bob and Tobly’s Beverly Hills 90210: THE MUSICAL are delighted to announce that 90210: THE MUSICAL will play Chicago's Broadway Playhouse at Water Tower Place (175 E. Chestnut) for a limited five-day engagement September 13 through 17, 2017. From the creators of FULL HOUSE: THE MUSICAL, SHOW GIRLS: THE MUSICAL, BAYSIDE! THE MUSICAL and KATDASHIANS comes the “unauthorized parody” of the 90’s TV cult-classic, “Beverly Hills, 90210." The show features a number of original songs that include, “The Ballad of Andrea Zuckerman,” “We Are Drama Zombies,” and “Will Tori Spelling Graduate?” After playing New York City’s East Village, this comedy comes to Chicago chock-full of drama – and laughs. Tickets begin at $35. A select number of premium seats are also available for many performances. Tickets are available now for groups of 10 or more by calling Broadway In Chicago Group Sales at (312) 977-1710. Tickets are available at all Broadway In Chicago Box Offices (24 W. Randolph St., 151 W. Randolph St., 18 W. Monroe St. and 175 E. Chestnut), the Broadway In Chicago Ticket Line at (800) 775-2000 and online at www.BroadwayInChicago.com. For more information, visit www.BroadwayInChicago.com.